Zorz Sarri is one of the most important modern Greek female authors of children's literature. The Treasure of Vagia, her first novel, was set in the post world war II period, and is based on real incidents of the burial of money by Germans in the Vagia area during the war, and also of German land mines that killed and maimed innocent villagers even many years after the war was over. Also Ta Stena Papoutsia, (her fifth book) is set in the village of Vagia, during the 1930s, where Sarri spent some of her childhood summers. The house where she stayed (now abandoned and half ruined), can still be found in the village. Sorz Sarri was born in 1925, still alive and lives in Athens. Her books, including children's books and books for "young people", have been translated into French, Russian and Turkish. 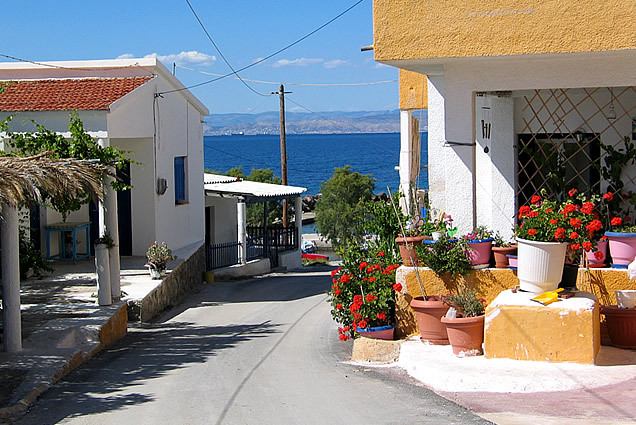 Vagia (Vaia, Vayia) is a small village located in the norteast corner of the island. The hills in this corner of the island are covered with pine-forest. The village has a picturesque small harbour with many small coloured fishing boats. Next to the harbour on the left, you can find a big sandy beach and a smaller one on the right. 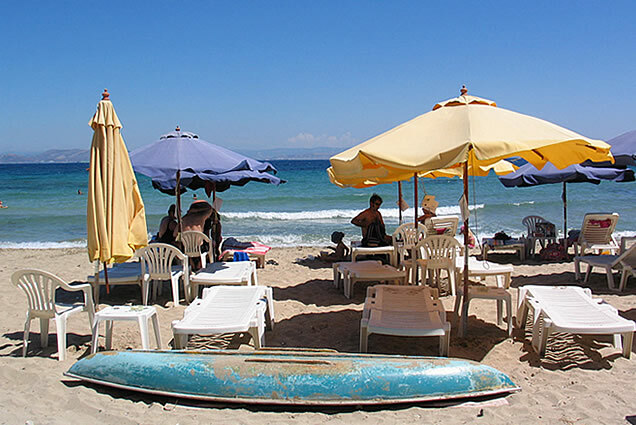 From the end of May until the middle of September the two tavernas set on the beach are offering sunbeds and umbrellas for free to clients. Based on archeological finds it has been proven that Vagia was also inhabited in antiquity. 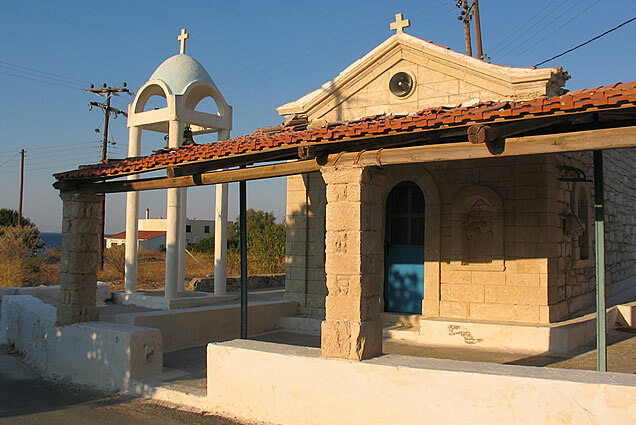 The village has not a real centre but the villagers point the little church of Agia Paraskevas and Agios Sotiras as the centre point. 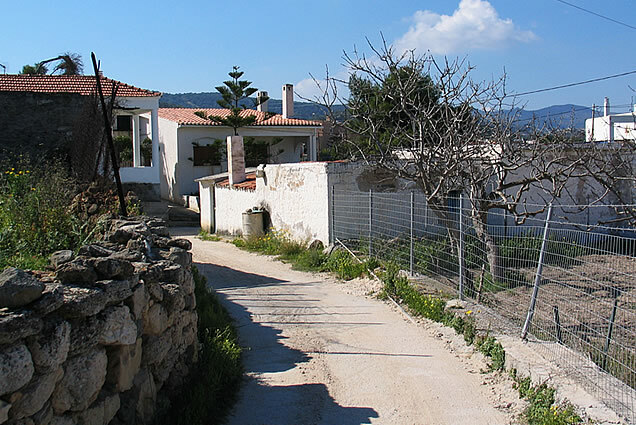 It sits at the junction of two small roads, one leading down to the main beach, and the other to a place called Tourlos (with the little island Nisida opposite), with a locked gate at the end which closes off a lovely wooded area to the public. Now a Greek naval base, it was occupied by the Germans in WW II. 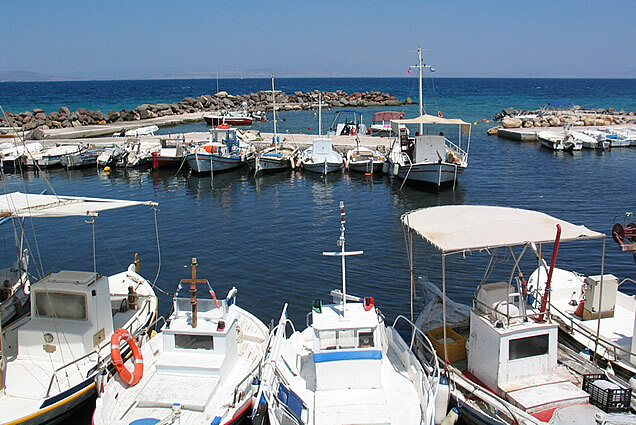 The village can be reached from the road that comes from Souvala or from the road that comes from Aegina passing through Mesagros or from the road that leads down from Agia Marina. There is a bus that connects Vagia with Souvala and Aegina. Next to the small bridge located at the end of the small road that leads down from the Blue Dolphin to the beach you can find a wetland. A wetland is an area of land whose soil is saturated with water either permanently or seasonally. The water found in this wetland can be saltwater, freshwater, or brackish. The flora and fauna in this area differs. There are 2 other wetland areas on the island one in the bay of Vlychada next to Agia Marina and one next to Marathonas beach. 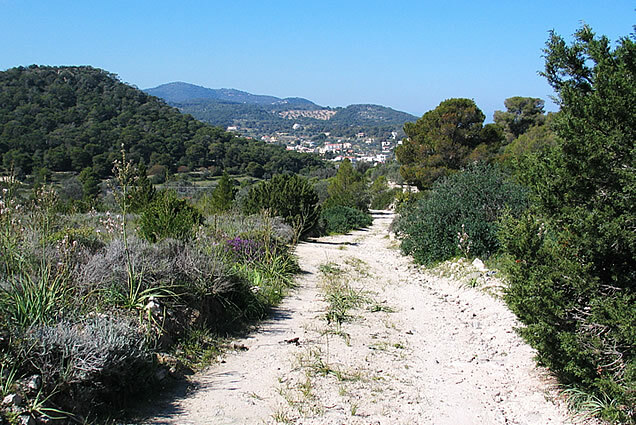 In the past years a group of people have accomplished that these areas are now protected areas. 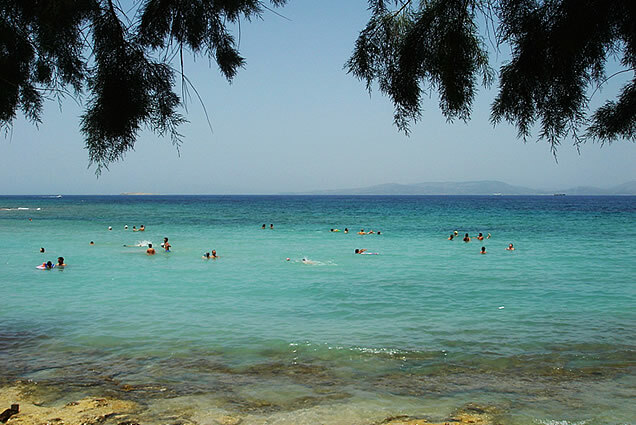 The main sandy beach of Vagia is one of the most relaxing beaches on the island. 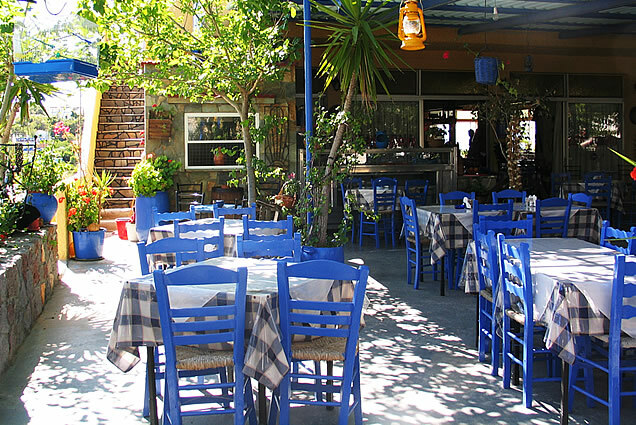 It is small, has sunbeds with umbrellas & is never really busy (except the month of August). 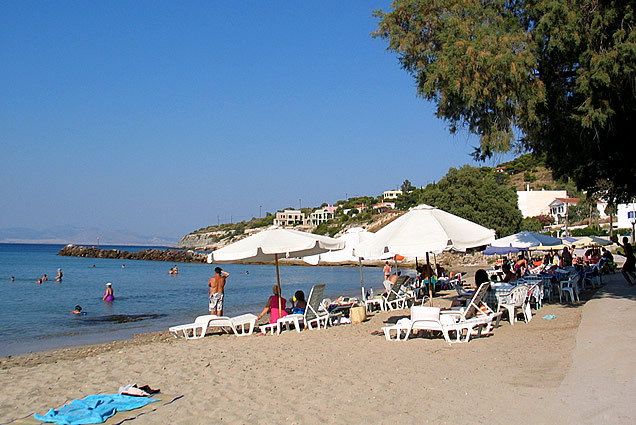 You can find two tavernas right on the beach. 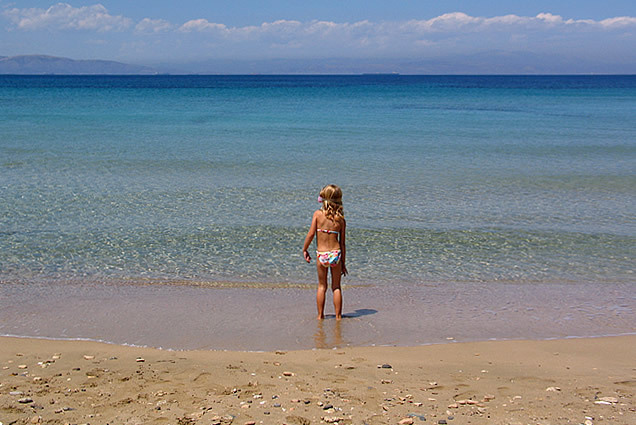 On the right side of the Vagia harbour another sandy beach is tucked away. 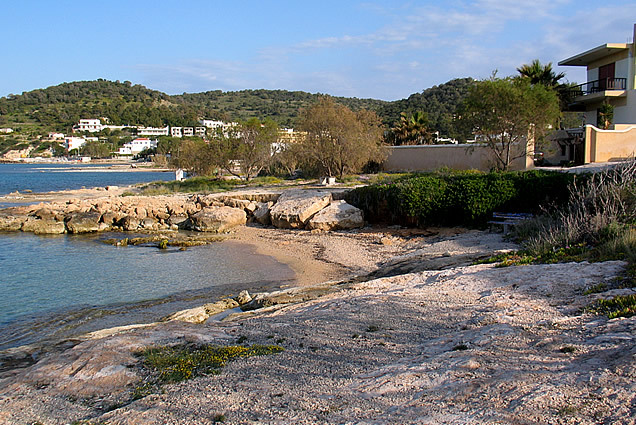 In west direction of the main beach you will find varous other small sandy beaches, and rocky parts where you can sunbath and swim.